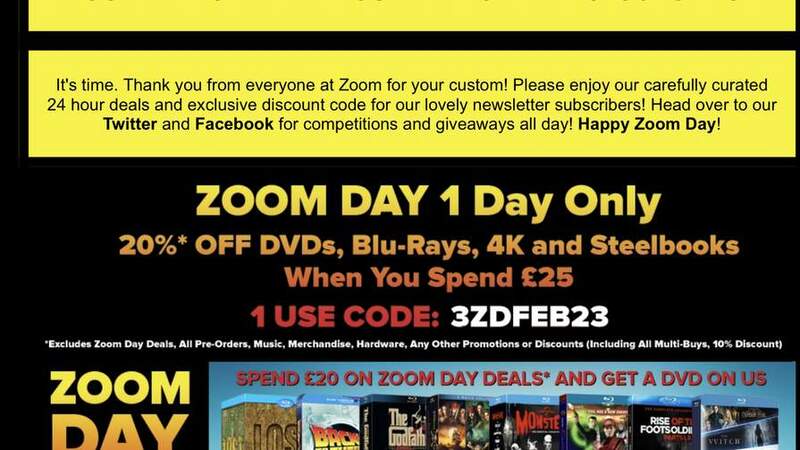 For one day only, Zoom have an voucher where you can get 20% off DVDs, Blu-Rays, 4K and Steelbooks. The Voucher Code is: ‘3ZDFEB23’. It says that it’s a one use code. 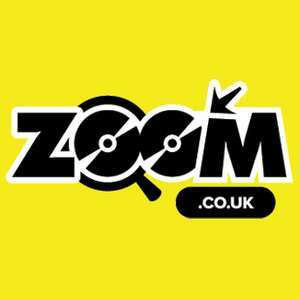 Excludes all Zoom Day Deals, multi-buys, Disney’s Marvel multi-buy promotion, Criterion multi-buy, introductory 10% discount code, pre-orders, music, merchandise and hardware bundles. No where near as good as the last discount day they had where you could use the code on all the above. What a waste of an hour, tried all sorts of stuff with no success. Even stuff in stock & not on offer didn't work. Up yours Zoom ya fricking morons. Does anyone have that and can tell me what the internal packaging is like? I can only find pictures of the outer box! It's the slim version, not the large-size one. Excludes all Zoom Day Deals, multi-buys, Disney’s Marvel multi-buy p …Excludes all Zoom Day Deals, multi-buys, Disney’s Marvel multi-buy promotion, Criterion multi-buy, introductory 10% discount code, pre-orders, music, merchandise and hardware bundles.No where near as good as the last discount day they had where you could use the code on all the above.